We here at Preference Pools and Spas are committed to helping you find the perfect spa to fit you and your lifestyle. 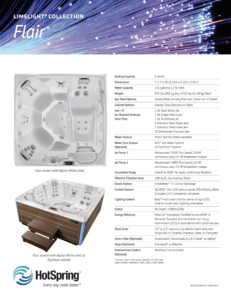 Recently, HotSpring remodeled their entire line of Limelight spas from head to toe, introducing some amazing new features and a beautiful sleek, innovative design. We’re here to give you the inside scoop on these new spas and so that someday you can see firsthand how amazing they are! As I mentioned previously, the HotSpring Limelight spas have under gone a complete transformation in style and therapy this year. The sleek, fresh look will provide you with a head turning design that will accent any back yard and the stainless-steel accents and multipoint lights are sure to enhance your spa experience. The new design features beautiful light bars on each corner as well as a smooth, sleek cabinet that looks like real wood, but is in fact made out of recycled bottles! Even with all of the incredible design, HotSpring hasn’t forgotten the main features that you look for in a spa and the therapy that you need for a healthy and active life style. They placed powerful jets in strategic areas to provide maximum adjustable action from head to toe. The unique jet patterns and placements allow you to pin point those troublesome areas that a Limelight spa can help you relieve. 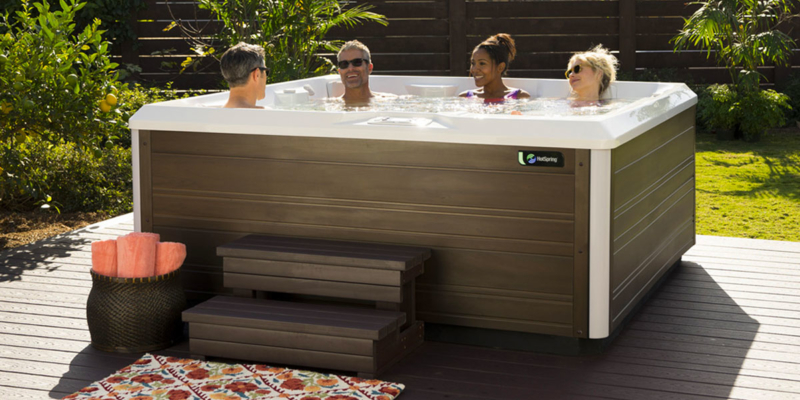 Limelight spas are amazingly energy efficient; this allows for maximum savings without compromising the water therapy that you desire. HotSpring Spas has the ultimate quality and unmatched customer service that make owning a Limelight Spa a simple and trouble-free experience. I would like to invite you to check out the Limelight Flair. It is one of the five different models available for you to choose from to find that perfect balance of style and relief for your life. I have added the informational sheet for you to have a quick glance at what the Limelight Flair has to offer. Please contact us here at Preference Pools & Spas at (541) 672-1970, so that we may answer any questions you may have. You could be experiencing incredible hydrotherapy today!